Phillips de Pury & Company held the last of the Contemporary Art Evening Sales for this week in London on Thursday, bringing in a total of £5,695,550, just under their low estimate of £5,985,000. 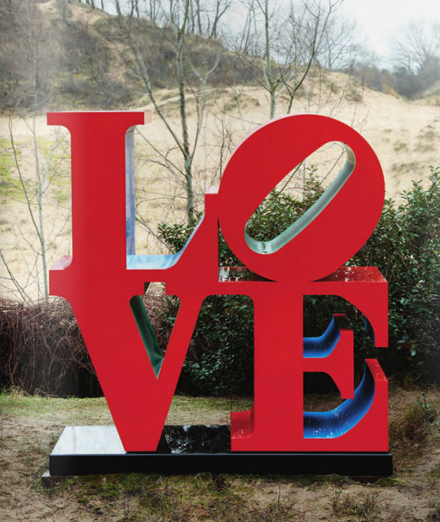 It is quite possible that they would have hit well above their high estimate had Robert Indiana‘s infamous LOVE sculpture not been pulled from the auction before it started, as it was estimated to bring in between £800,000–£1,200,000. 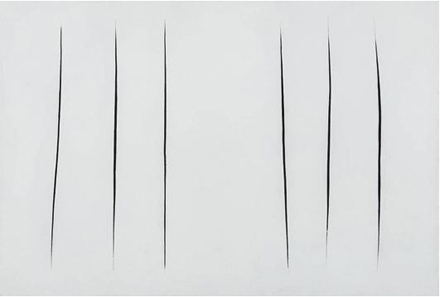 The top seller from the auction was Lucio Fontana‘s Concetto Spaziale, Attese, which sold for the hammer price of £900,000—at the low end of the £1–£1.5 million estimate. The work was once owned by Andy Warhol, and is a quintessential example of the Spazialismo movement that Fontana founded, a movement that was among the first to emphasize the importance of performance as art. There were some unexpectedly high sales, including Cindy Sherman‘s Untitled #410. 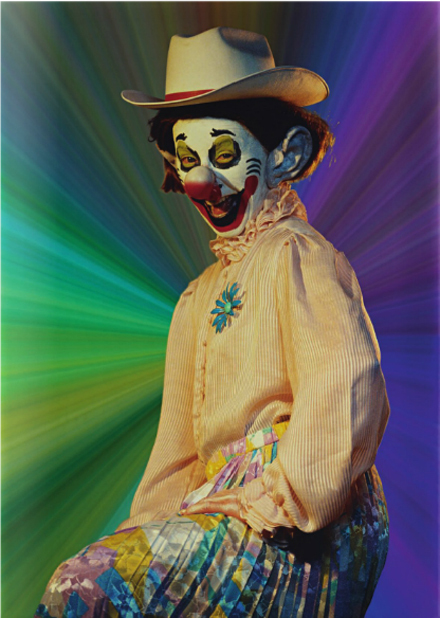 This brightly colored photograph of Sherman in full clown regalia fostered a bit of a bidding war, and eventually sold at the hammer price of £360,000, above its high estimate of £300,000. 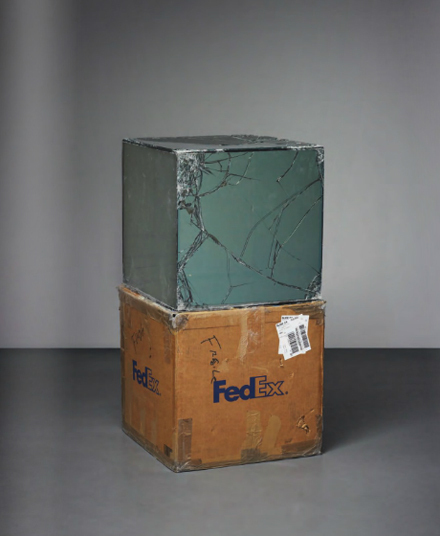 Walead Beshty‘s FedEx© Kraft Box© sold for well over double its high estimate of £20,000, reaching a hammer price of £48,000. Phillips’ second highest sale was Rudolph Stingel‘s Untitled, a gilt version of his wallpaper series, selling for £505,250—in the mid range of its anticipated £450,000–£650,000. 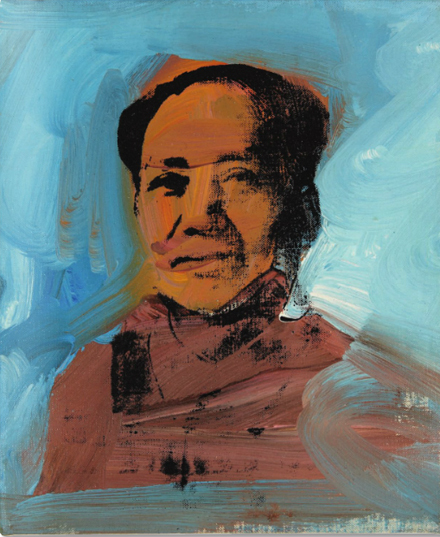 Following closely behind, Andy Warhol‘s Mao, an iconic abstract expressionist rendition of the Communist leader, sold for £457,250, within its estimate of £300,000–£500,000. The other two highlights of the show that were expected to bring in the numbers were both passed on. 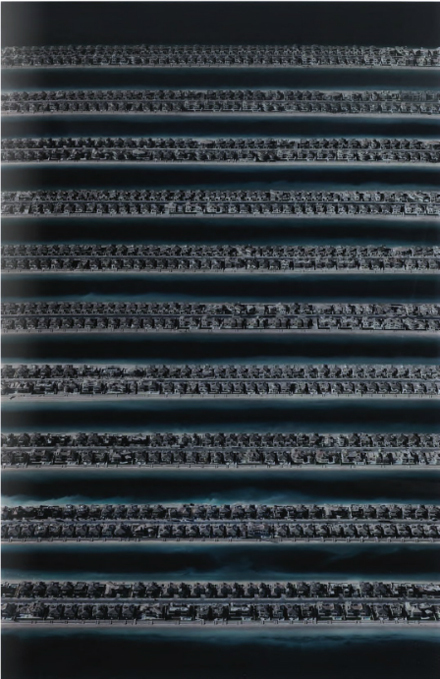 Andreas Gursky‘s Jumeirah Palm was expected to fetch £400,000–£600,000, and Damien Hirst‘s Sensation was estimated at £350,000–£450,000. Neither piece was sold, and this is likely attributable to the still turbulent global economy. The smaller auction houses tend to flux more with economy, as opposed to the insular portion at the top, with Bonhams experiencing similar auction results on Monday. 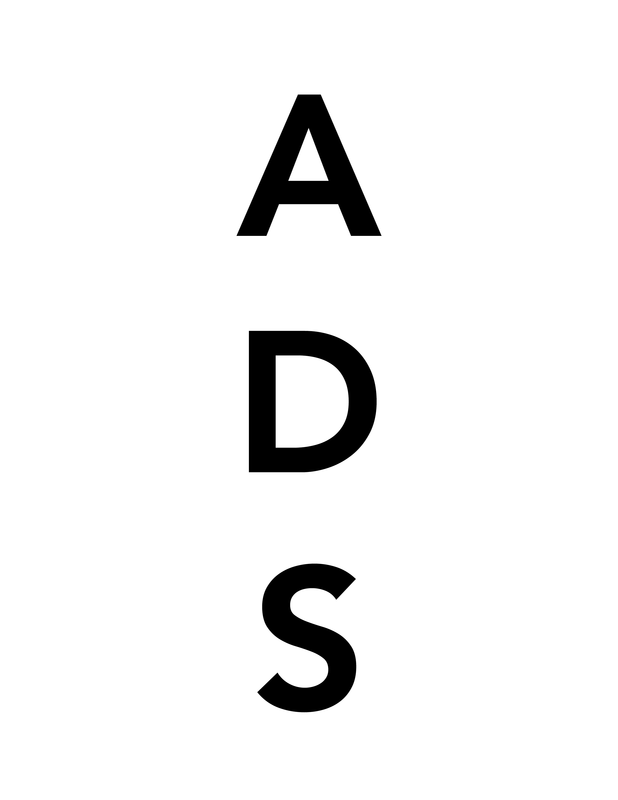 This entry was posted on Sunday, February 19th, 2012 at 12:48 pm	and is filed under Art News. You can follow any responses to this entry through the RSS 2.0 feed. You can leave a response, or trackback from your own site.